Hello Crafty peeps! Today I decided to participate in the challenge over at The Pink Elephant and they asked us to use either Chevron or Hexagons in our design. I thought it would be fun to make my own Chevron pattern. It was so much fun to make I know that I will be doing this again! It took a little longer than it should to make this card, but the results were worth it! I distressed my papers with Chocolate SU ink. The DP is a mixture of SU,Bazzill and Ki Memories. The sentiment is one I got a Michaels. The rest was made with MS and SU punches. Also, wanted to let you know that one of my latest cards was chosen as a Terrific Top 3 over at CR84FN. I was so stoked this morning when I saw that!! Love when that happens! This is the card that won! 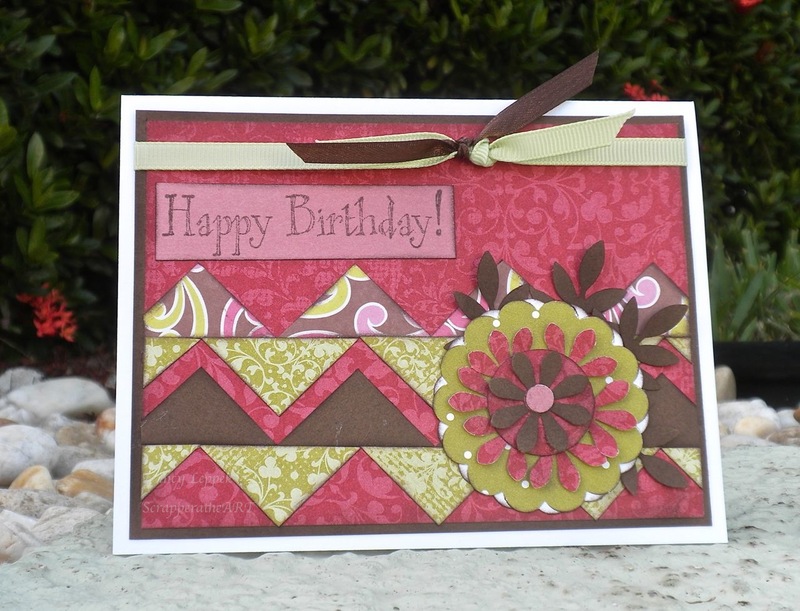 Categories: Uncategorized | Tags: Card making, Cards, chevron, Happy Birthday, rubber stamps | Permalink. 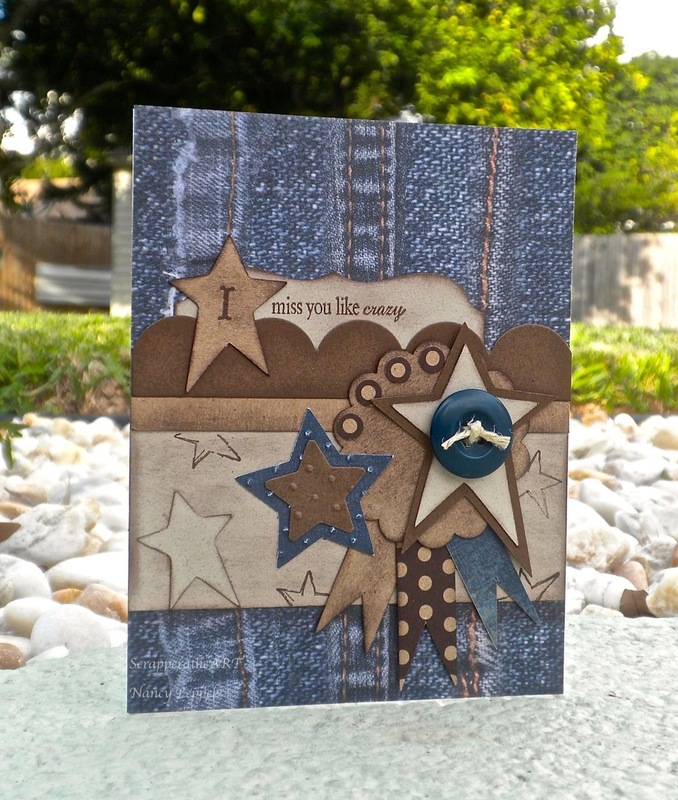 Fabulous card!! Love how you created the Chevron pattern!! Thanks so much for playing along with The Pink Elephant!! Fabulous card, Nancy! And congratulations on your win!!! Very well deserved. Woo-Hoo!! Your on a ROLL chickie!! Good for you! This is beautiful!! !